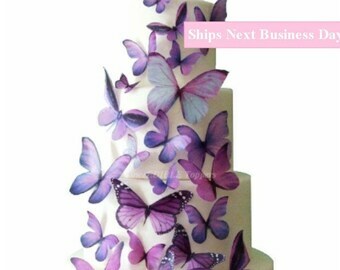 Edible Butterfly Cake Decorations in Prettiest Purple! 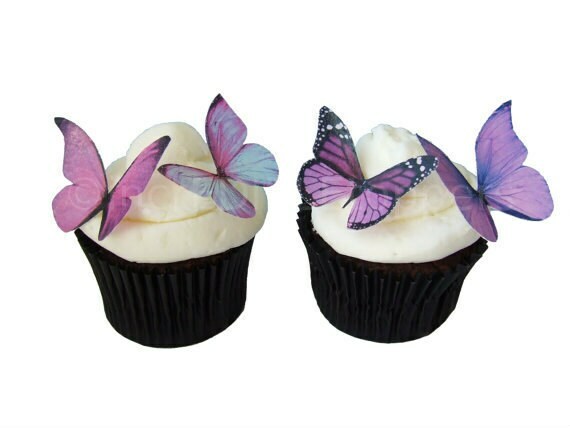 These beautiful, rich purple cupcake toppers will be the focal point of your dessert table. Adorn your cake pops, cupcakes, birthday cake, donuts and serving dishes - the possibilities are endless. Super gorgeous & good quality. these were beautiful on cupcakes! Nicely packaged and shipped, and easy to apply!